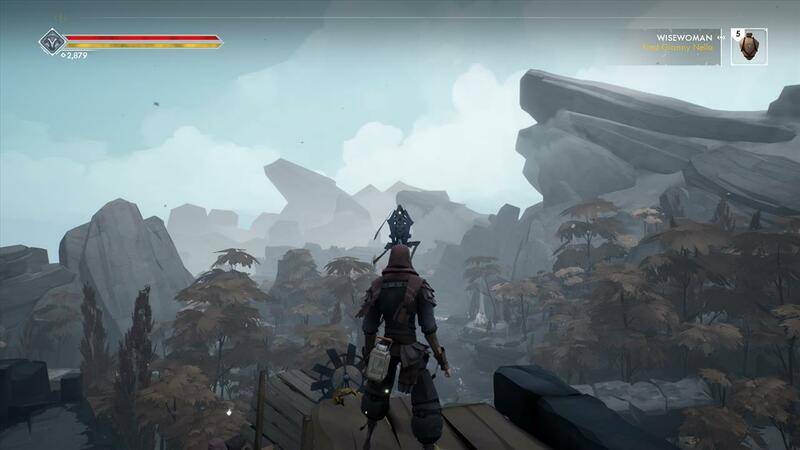 Ashen's formula isn't exactly a new one, but it does seek to bring some new flavor to the action-RPG style like that of Dark Souls and Bloodborne. One of the more immediately noticeable things about Ashen is the art style. 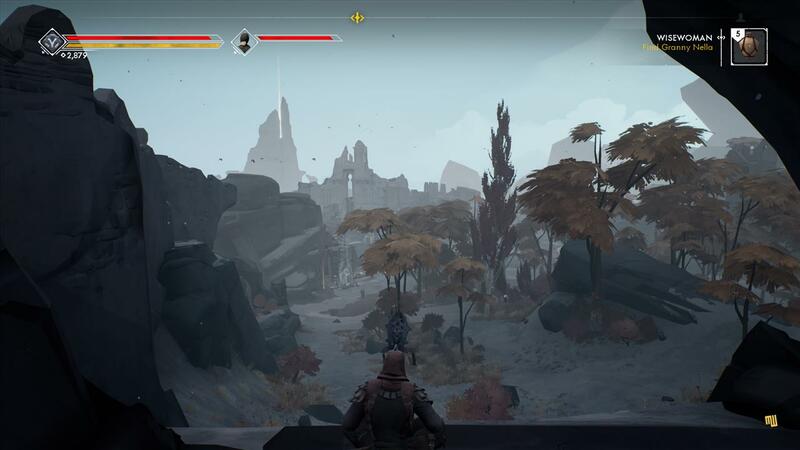 Ashen's art style lends itself to a beautiful and interesting landscape. The divide between darkness and light is well illustrated, and it works to support the story and underlying themes of the game. Ashen's story is like many that came before it. It illustrates a time of darkness, with the player taking up arms to help secure the rebirth of the light. Along the way, the main character meets up with many allies, who help them in becoming strong enough to face all the challenges that lay before them. The story plays out in a relatively linear manner, but side quests from allies allow the player more freedom to explore the world. Combat and equipment-wise, the game borrows heavily from Dark Souls. The combat itself seems to be simpler but is still very typical of the style one would expect. The player is able to switch between one-handed and two-handed weapons at will, with spears held in reserve to serve as a ranged alternative. In their off hand, the player can choose to equip a shield to protect from attacks or a lantern to help light up the darkest corners of Ashen's world. Ritual Stones around the world serve a purpose similar to bonfires, allowing the player to heal and set a spawn point should they fall in battle. Much like Dark Souls' Estus Flask, the Crimson Gourd allows the player to heal a number of times, with the Gourd refilling at every Ritual Stone. The game's currency, Scoria, behaves similarly to souls, being lost on death but recoverable provided the player doesn't take another spill before returning to the site of their first death. Amidst the similarities, Ashen is chock full of its own refreshing takes on the genre. A couple of my favorite things in the game pair with how the game flows. As the player progresses through the story, they secure a town called Vagrant's Rest. As they bring more NPC allies to the town, the town begins to grow and the player gets more access to different types of crafting, allowing them to do a variety of things. Among these are the ability to upgrade weapons, purchase items or abilities, and take on quests from the NPC's to acquire new items. I very much enjoyed this mechanic, as it seemed to facilitate an organic growth that paired well with the progression of the story. It also created an area in the game that felt like home, which is quite a reassurance in a game intended to be as tough as Ashen. This sense of organic progression doesn't end with Vagrant's Rest. Even the missions in the game serve to deepen the gameplay experience. One of these moments came during a quest to enter a castle and rescue a Diasora, which looks kind of like the sky bison Appa from Avatar: The Last Airbender. After working my way through the quest and defeating the miniboss, I managed to rescue the creature. After all that, I was unexpectedly surprised when the Diasora thanked me by settling up next to a Ritual Stone and becoming my agent of fast travel. It's always refreshing for me to see games bring along new mechanics in an organic way that makes sense within the scope of the world. 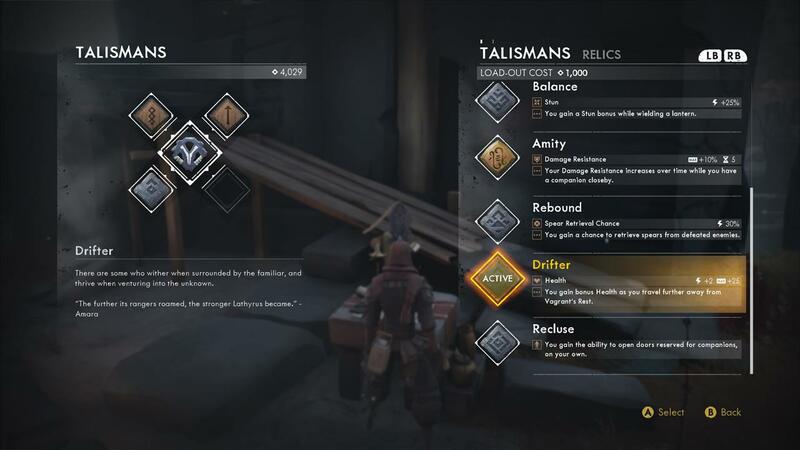 Ashen's commitment to this is a boon to the quality of the game as a whole. There was a lot of good with Ashen, but definitely some drawbacks as well. I still felt as though the combat was somewhat lacking. Enemies are a bit too predictable, the fighting itself feels a little janky, and the limited diversity of weapons leaves something to be desired. Additionally, certain parts of Ashen really stick to that Dark Souls-esque pattern of hiding enemies just around a corner to pounce on me when I unwittingly walk around. While it's not the end of the world, it's a mechanic that I generally dislike, but that's just my opinion. The last component of the game I didn't find particularly well implemented was the co-op. 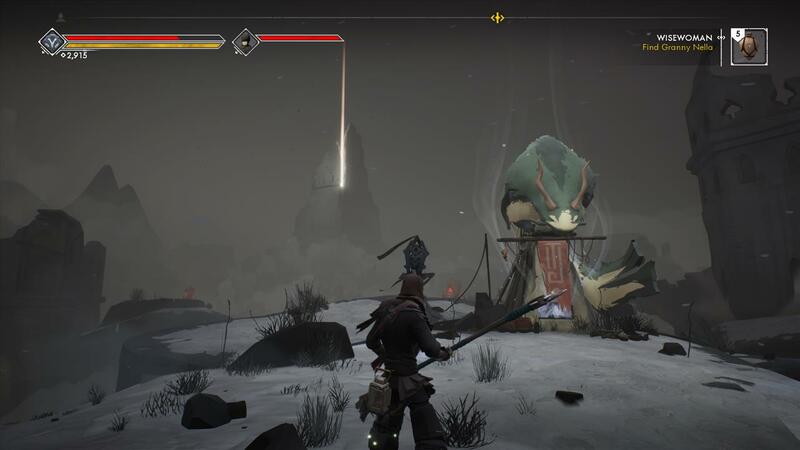 Ashen implemented a drop-in co-op experience I would liken to the PS4 game Journey. At any given point in the game, your AI-controlled partner may or may not be swapped out with a real human being progressing through the same area as you. Generally, it's pretty obvious when this happens, but there is no visual indication or voice communications to connect you. From my perspective, the multiplayer was intended to create a more artful interweaving of two player's collective experiences. To play together and accomplish a goal with someone you can't openly communicate with is an interesting experience, but I think the game would have benefited more from a traditional co-op experience. The drop-in, drop-out nature of the multiplayer felt disconnected from how much the player moves through spaces where their partner departs unexpectedly.